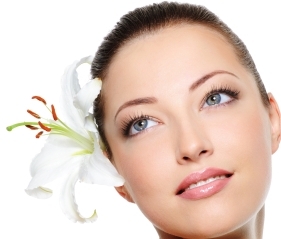 Microlaser Peel, also called the "Weekend Peel", involves practically vaporizing a very thin layer of your epidermis. The laser used is called Erbium, with a frequency of 2940nm. This laser can be programmed to peel as little as 4 microns, up to as much as 100 microns. One micron is one thousandth of a millimeter. Less than 20-micron peel will need just the weekend to recover. This Erbium laser has a special affinity to the water content in the cells of the superficial layer of the skin. This results in clean vaporization the second the cells come in contact with the laser. A special smoke-evacuating filter aspirates the plume from the procedure. The procedure is done using a topical anesthetic, and added comfort is provided by a blast of cold air to the site of treatment. The treated area will have some erythema or redness for the next few to several days, but makeup can be applied in a few days. This treatment promotes new collagen formation and the new skin has better texture and tone, with less pigmentation, wrinkles or other blemishes from sun damage. A series of 3 to 4 treatments spaced 4 weeks apart is certain to vaporize years off your face, to a more youthful and vibrant appearance. The typical depth used at Clinique Esthetique is 4 to 20 microns.